The E.A. 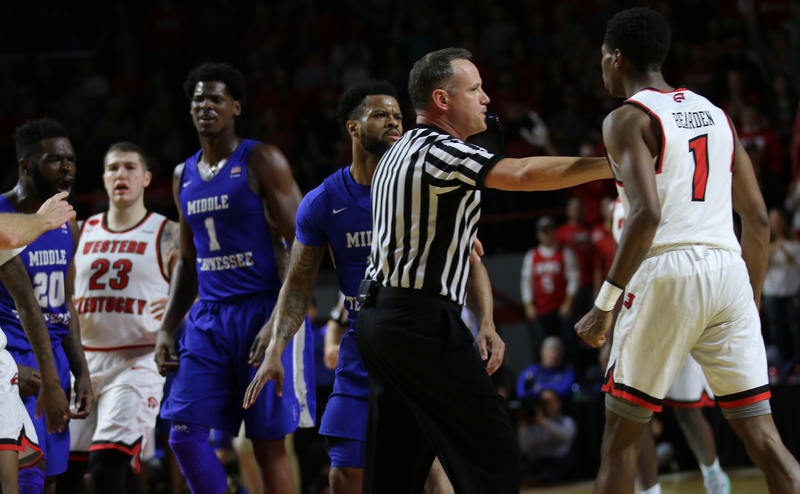 Diddle Arena on the campus of Western Kentucky University was filled to capacity on Saturday night, and it created a loud and hostile environment that was equivalent to the intensity that the “100 Miles of Hate” rivalry produces. 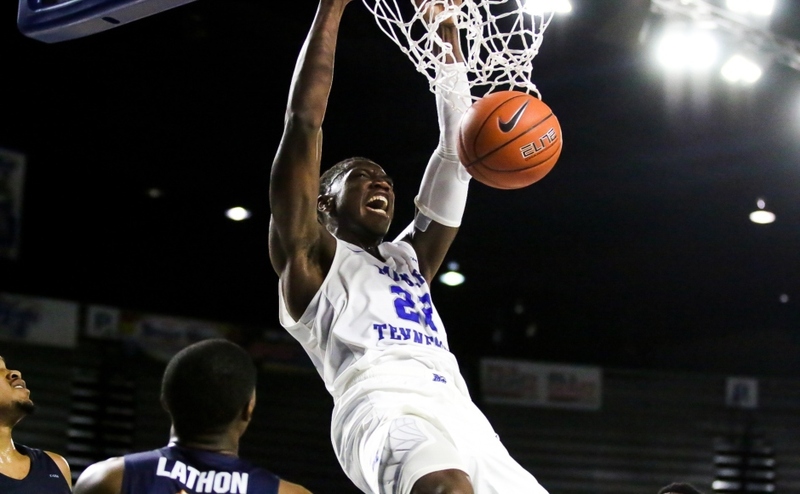 This high-drama chapter of the “100 Miles of Hate” rivalry saw the Middle Tennessee Blue Raiders (14-5, 6-1) escape with a 66-62 victory over heated-rival Western Kentucky (14-6, 6-1). 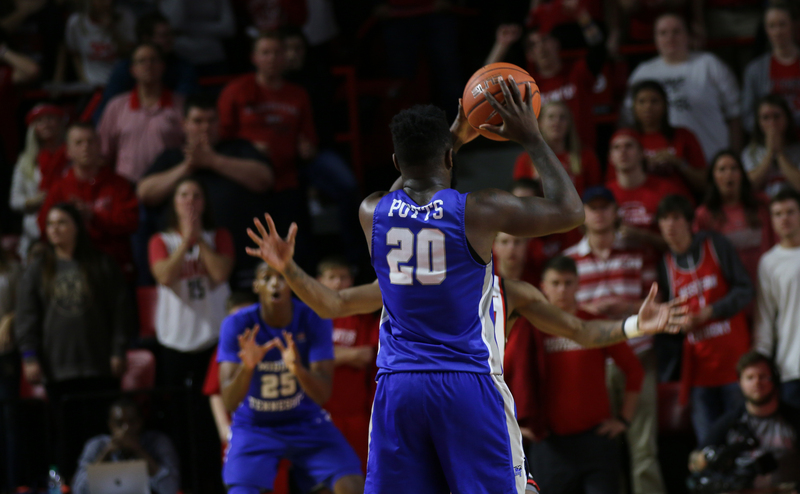 Down 4-0, the Blue Raiders showed poise and veteran leadership when Giddy Potts connected on a three-pointer to get MT on the board. Western controlled the tempo of the game early on in the opening half, as their 1-3-1 zone and heavy defensive pressure forced five early turnovers. The early offensive dysfunction lasted until the 5:48 mark. At that moment, King took over the contest. King found his groove when he knocked down three consecutive mid-range jump shots. 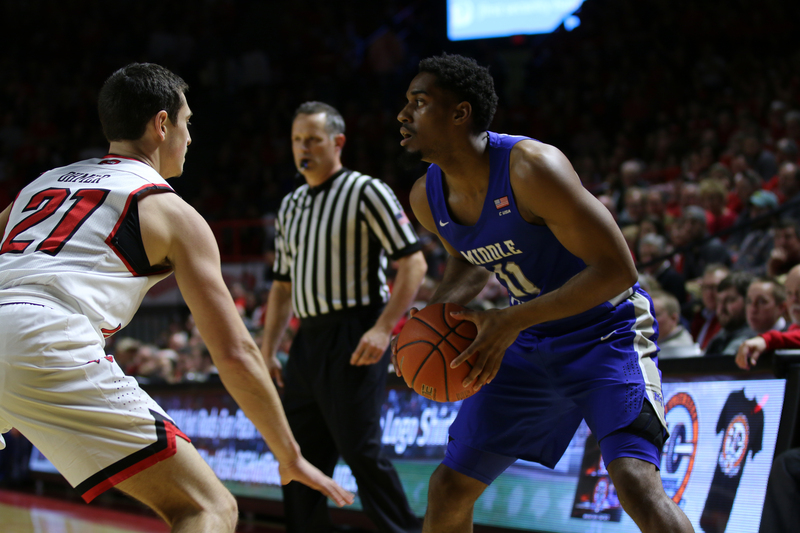 The personal 6-0 run gave the Blue Raiders their first lead of the contest at 21-19, but the momentum did not stop there. Backup center Karl Gamble got in on the scoring action when he got open for a lay-up. 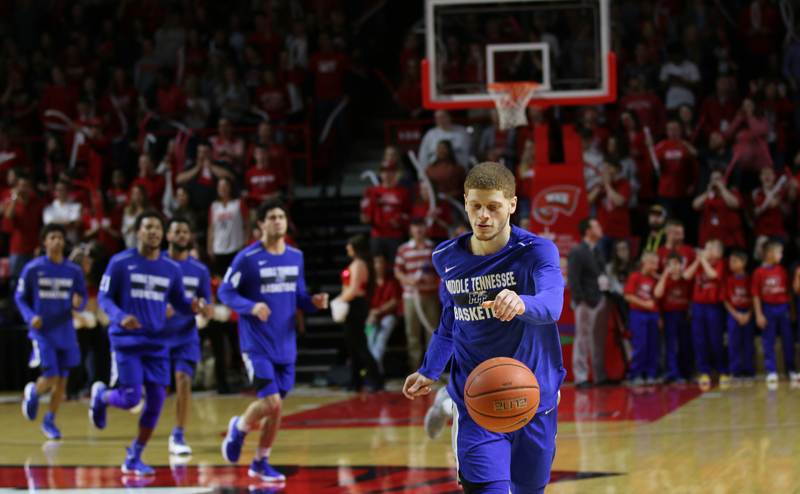 Later, he hit a long two-point jump shot to extend the Blue Raider lead to 27-20. Murfreesboro native and Western Kentucky point guard Darius Thompson responded by getting the crowd back into the game when he threw a high lob to Coleby to complete the play with a slam dunk. 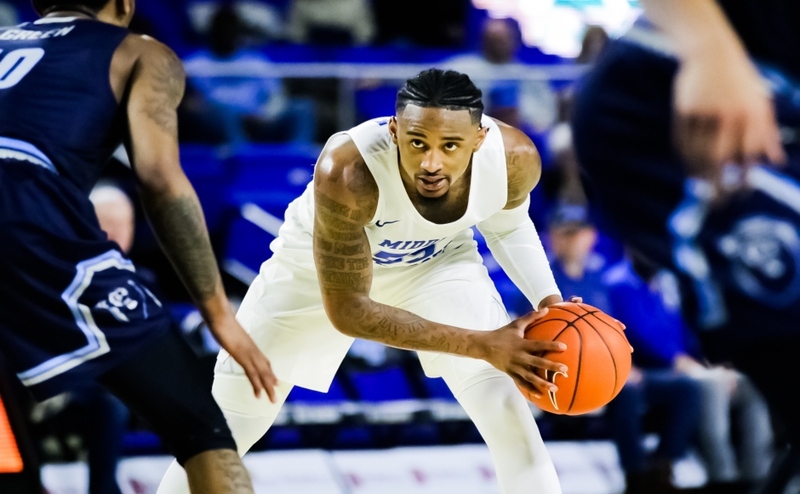 The Blue Raiders exemplified that veteran poise to get back on the board when King drew a foul on Coleby and connected on both free throws with under a minute remaining in the half. 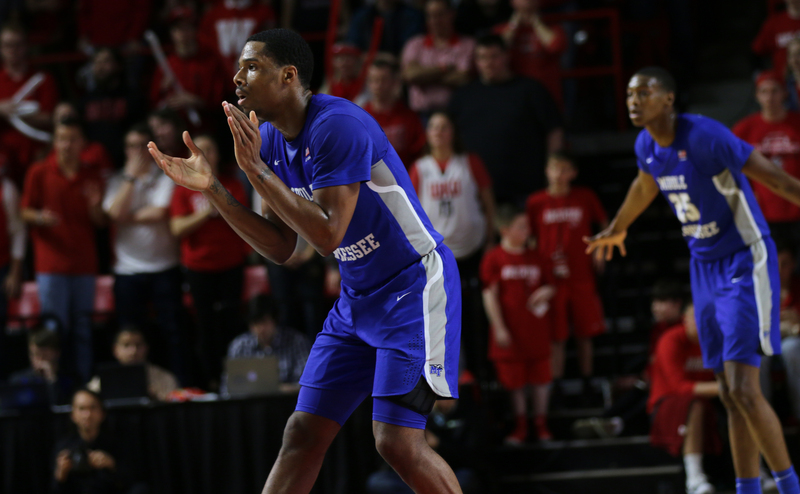 When the horn sounded, Middle Tennessee took a 29-22 advantage to the locker room. 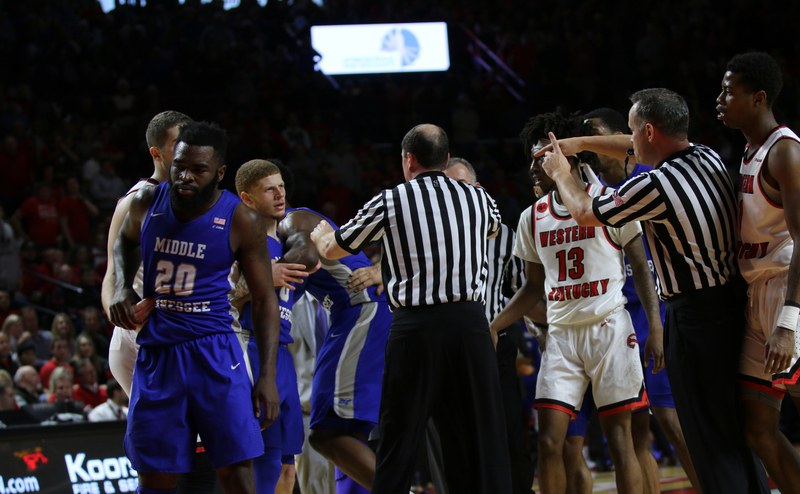 Emotions reached a fever pitch when Western Kentucky guard Lamonte Bearden fouled Blue Raider point guard Tyrik Dixon in a scramble for a loose ball early in the second half. When Dixon tried to get up, Bearden stood over him and taunted him. He took exception to that, and soon after, Bearden gave him a hard shove that got the crowd and benches out of their seats. 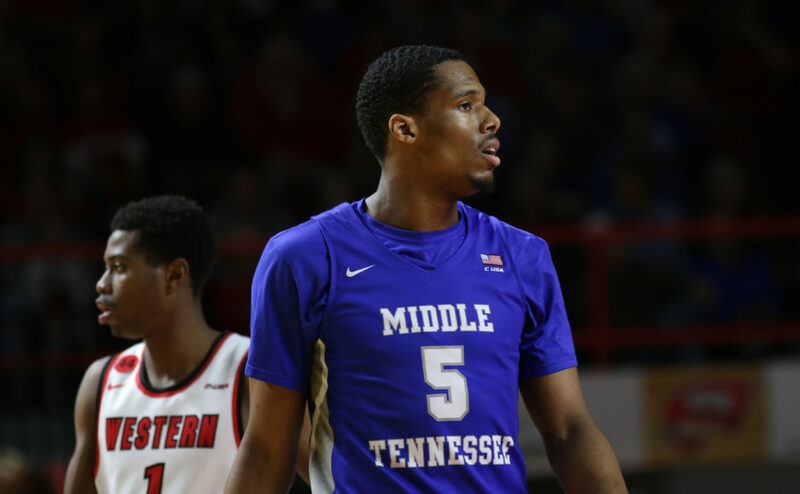 While MTSU held the lead for all of the second half, Western made a couple of runs that challenged the Blue Raiders. 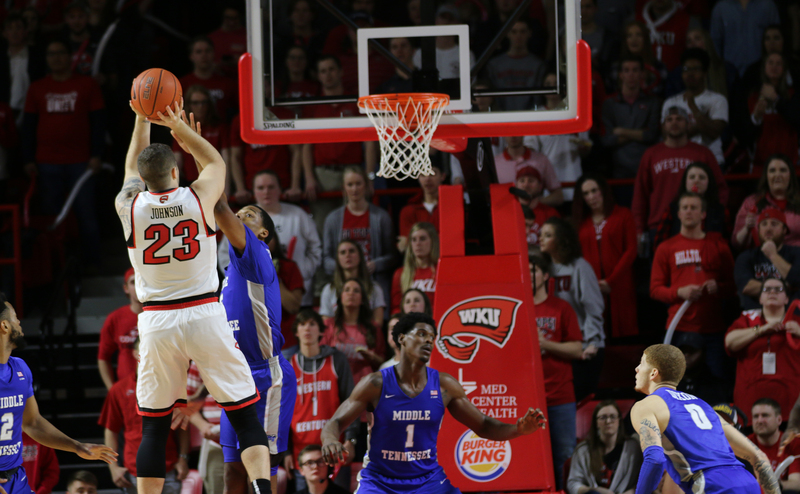 The Hilltoppers cut the lead to four points when Potts fouled Jake Ohmer while shooting from behind the arc. Ohmer sunk all three free throws to cut the lead to 40-36. 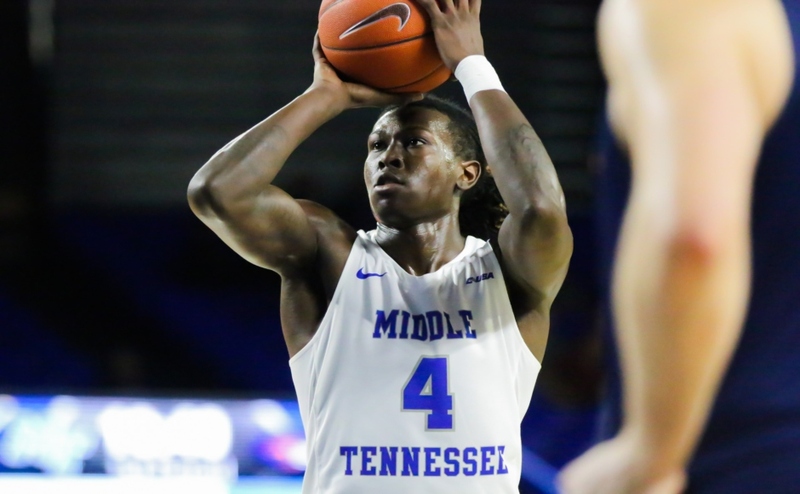 MT got their largest lead of the game when guard David Simmons made a high floater over the outstretched arm of Coleby to stretch the lead to 46-36. Down seven points with a little over five minutes left, Thompson found Bearden for a lay-up. This was followed by a Coleby jumper to cut the Hilltopper deficit to three. 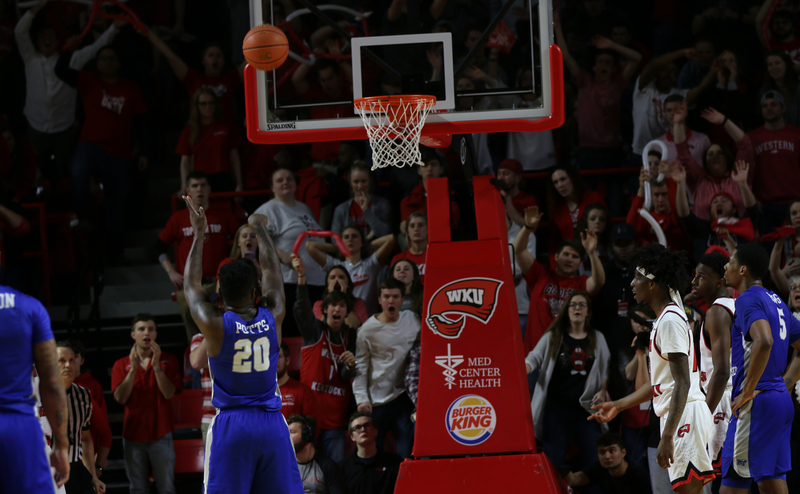 King found another way to respond to the WKU run when he hit a miraculous three-pointer as the shot clock expired to momentarily hush the crowd and give the Blue Raiders a 58-52 lead. 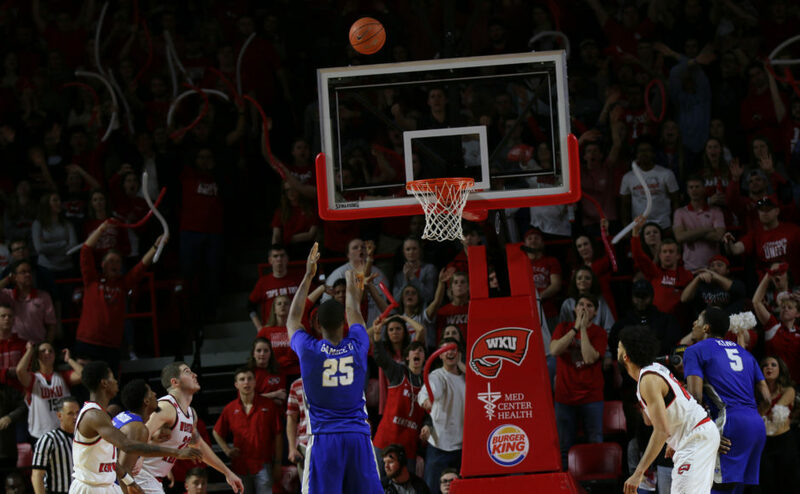 WKU remained persistent and cut the lead down to two when Johnson connected on a jump shot with 1:15 left. On the following possession, MT melted the clock down to the last few seconds where King missed a three-point heave as the shot clock expired. 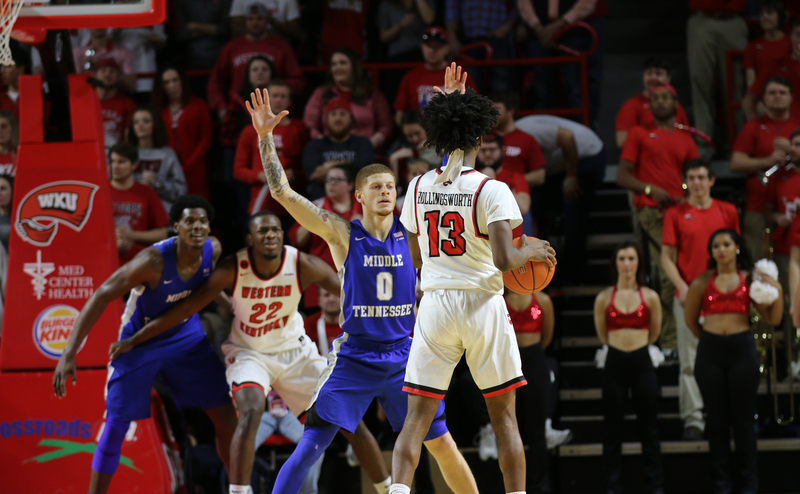 The possession didn’t end there however, as Potts out-hustled the WKU defenders for the offensive rebound to give Middle a fresh 30-second shot clock. 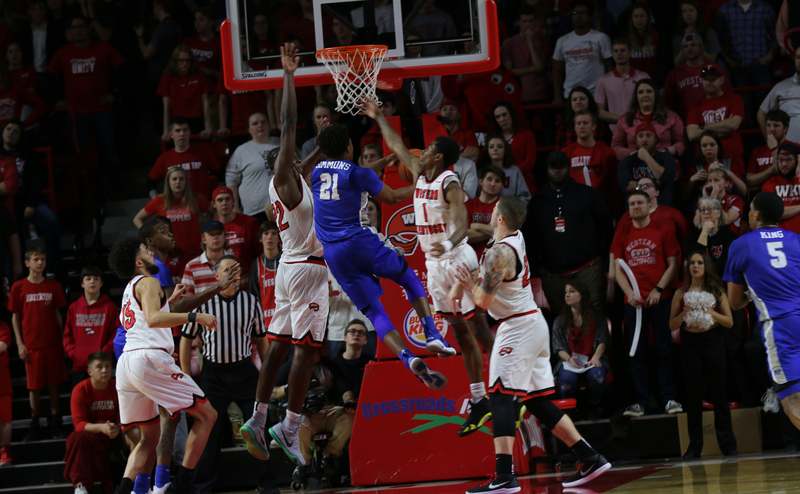 The rebound paved way for MT to take more time off the game clock and when Brandon Walters dunked the ball off of a missed King lay-up, the game appeared to be over. The Blue Raiders led 62-58 with only 11 seconds remaining. 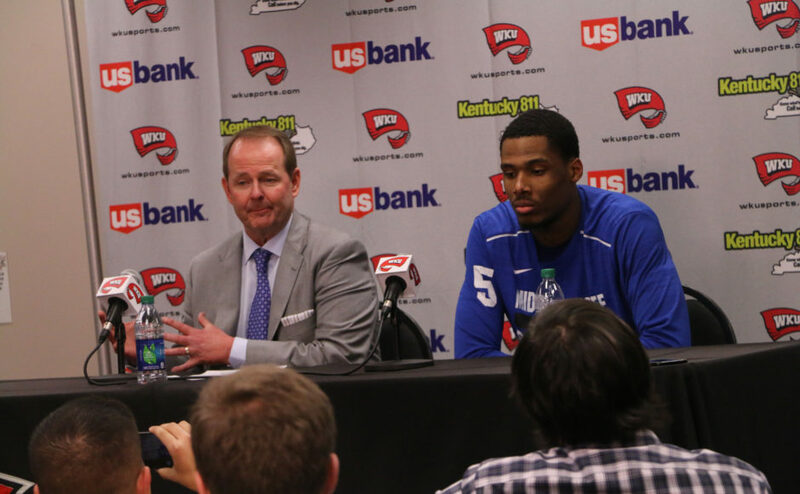 The Hilltoppers were in desperation mode and were forced to foul to try and salvage the game. However, the Blue Raiders were able to sink the final, clutch free throws to seal the rivalry game. King led all scorers with 28 points on 11-21 shooting, while also grabbing a game-high nine rebounds. Potts was the only other player that provided plentiful offensive production, scoring 16 points on 5-8 shooting from the field and 2-4 from the three-point line. Despite being in foul trouble for most of the night, Davis knew that his well-decorated senior shooting guard would step up to the challenge. 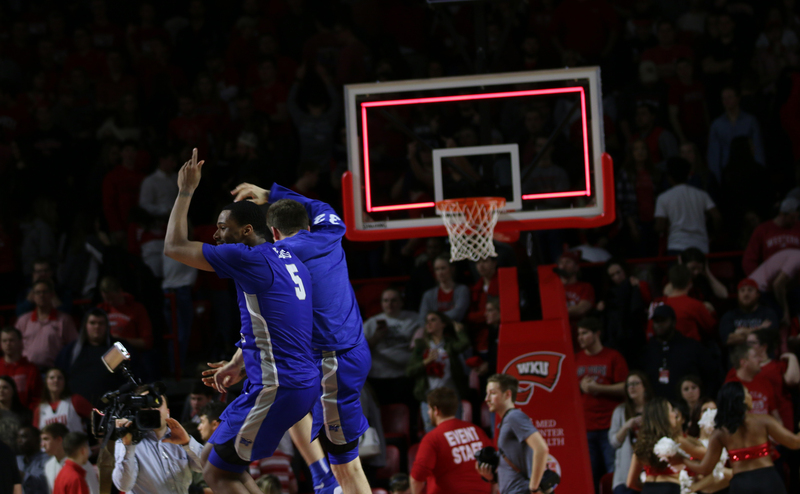 Following a tough loss on the road at Marshall on Thursday night, MT responded by beating the number one team in the conference and handed WKU their first loss of the conference season. The result of Saturday night’s game put MT at the top of the C-USA standings in a three-way tie with Western and Old Dominion. 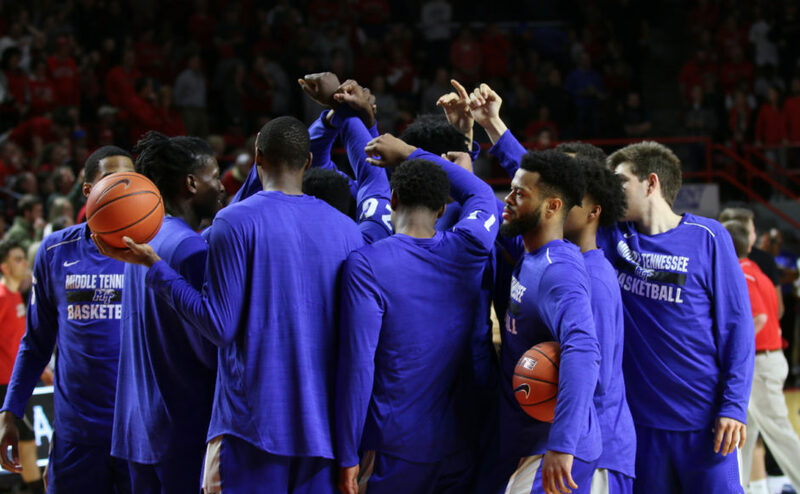 While the Blue Raiders may not be running away with the regular season title like they did last season, they are in a more complete conference that poses more challenges. 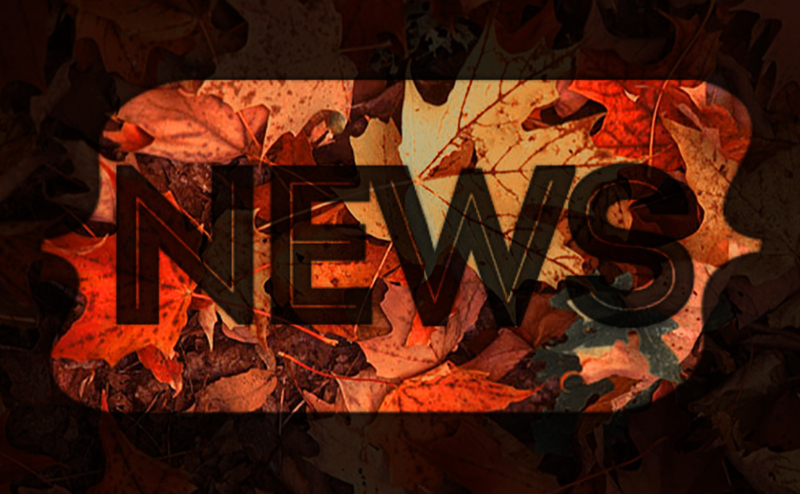 Despite the league’s overall improvement, the team is still finding their way at the top of the standings after seven games. 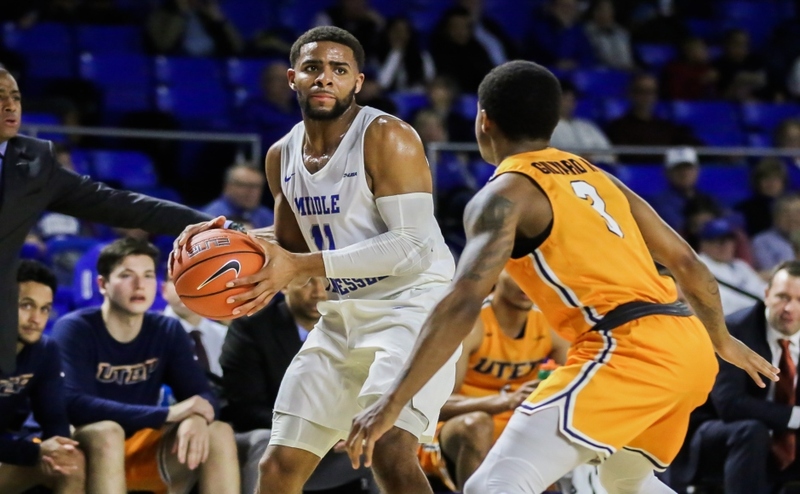 MT will return home to the Murphy Center for two games, as they will take on the University of Texas-San Antonio Roadrunners first on Thursday night at 6:30 p.m.